Intentionally or not, all motorists have broken the speed limit at some point in their life. Some people are in a rush, some people don’t realise their speedo has tipped the wrong side of the line – but speeding can, and does, kill. Just last month, 4,394 vehicles were caught speeding on the roads here in Northamptonshire, with the worst offender being a BMW driver who was caught doing 94mph on a 50mph stretch of the M1. The trend over the past six years also shows more and more people being caught. In 2011, the year 40 fixed cameras across the county were turned off, a total of 24,974 speeding offences were recorded. Last year, that figure stood at 52,346. 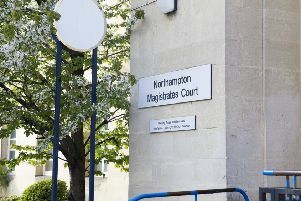 The increase in offences in 2014, 2015 and 2016 can largely be put down to the presence of average speed cameras among the roadworks on, first, the A14 at Kettering and, more recently, the M1 at Northampton. Matt O’Connell, a safer roads operations team leader at Northamptonshire Police, says speeding is an issue county residents are worried about. He said: “I think really it’s a growing concern in our communities. “We are getting more and more requests for speed enforcement. The highest speed recorded in a 30mph zone this year so far is 70mph, on the A43 at Collyweston. The highest speed recorded in the county is 101mph, in a 50mph zone on the M1. In 2011, when the fixed speed cameras were turned off, the majority of the yellow shells remained. Mr O’Connell says he doesn’t think the decision to switch off the cameras has had an effect on catching speeding drivers, with a number of alternative speed prevention measures available. He said: “You’d like to think people slow down for the cameras. “Even though it’s been well-publicised that they are off, there’s still that doubt that they might be on. While fixed cameras are off, Northamptonshire Police have a team of eight officers and eight mobile speed vans dedicated to tackling speeding. And Mr O’Connell says he’s been encouraged by the introduction of local speedwatch schemes, such as those in Kettering and Wellingborough. He said: “The Community Speedwatch scheme is great, it’s all about education really. “Driving is one of those things where you could pass your test and then you might go 30 or 40 years without any form of education. “People in communities know how dangerous speeding is and don’t want people haring through their street. “The worst speed I can remember is someone doing 72 or 73mph in Western Avenue in Daventry, which is a 30mph limit. Jack Kushner, a spokesman for road safety charity Brake, said: “Selfish, speeding drivers put not only themselves but other road users at serious risk. “Evidence shows that driving over the speed limit, or travelling too fast for the conditions of the road, is a contributory factor in nearly one in four fatal crashes in the UK. “At Brake, we see every day the devastating impact road crashes caused by speeding have on families and communities across the country.